I ♥ colored varieties of Swiss chard (the Italian word for chard is bietola, plural bietole, also called bieta). When I bought the leaf in the photo and its companions at the farmers' market, my intent was to make involtini with them. I guess I am in an involtini phase (see my recent post on involtini di peperoni). To make sure I prepared the chard leaves properly, I turned to my main resource in the kitchen, "Vegetarian Cooking for Everyone" by Deborah Madison, where in fact I found an explanation of how to prepare the leaves as part of the recipe for Chard Rolls with Winter Vegetables. From that recipe I took also the idea of chopping the chard stalks and central ribs that were cut off to make the leaves rollable and add them to the filling (ripieno). As I have written in a recent post, I like chard stalks (coste) a lot. As part of the filling, I decided to use hulless barley, of which I have a steady supply as part of my grain CSA share. I cooked half a cup of barley the way I described in this recent post, then took half of it and added it to the other ingredients of the filling at the end. But I am getting ahead of myself. Note: The bunch of rainbow chard I bought at the farmers' market had short stalks, which I cut, and also cut a couple of inches of the central rib, so that I could later roll the cooked leaf easily. The result is a heart-shaped leaf of sort. I boiled the chard leaves for four minutes, in two batches to avoid overcrowding the pot, drained and spread them on a towel. They certainly require a bit of care in handling. Both versions of the involtini were excellent. I particularly like that the filling makes also the accompaniment. I am also happy about the way the dish looks: I think the photo speaks by itself. This is my contribution to edition #255 of Weekend Herb Blogging, an event started by Kalyn of Kalyn's Kitchen, now organized by Haalo of Cook (almost) Anything at Least Once and hosted this week by Prof. Kitty of The Cabinet of Prof. Kitty. or launch the involtini di bietole audio file [mp3]. 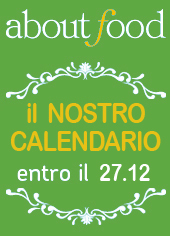 Update: I am submitting the first photo of this post to a special end-of-the-year contest currently ongoing at the about food site (in Italian). Twelve photos will be chosen by about food editors and they will be featured in their calendar.